The Cardinals and Albert Pujols have ended contract talks. Pujols is looking for a sizeable deal, with the Cardinals’ front office putting the best deal on the table that they can afford. The Brewers second baseman Rickie Weeks agreed to a four-year, $38.5 million contract. The Boston Red Sox have traded RHP Robert Coello to the Chicago Cubs for 2B Tony Thomas…The Arizona Diamonbacks agreed to terms with INF Kelly Johnson on a one-year contract. I want to thank Jon Star of the New York Mets Inside Pitch and Scout.com for appearing on my radio show NY Baseball Live and offering his insight into the Mets. Same kudos goes to Bruce Markusen from the Baseball Hall of Fame. Baseball is back…pitchers and catchers report to Spring Training. What a great feeling. Here’s a breakdown for MLB’s Baseball Calendar up to the Hot Stove League. Oct. 6 — Playoffs begin. 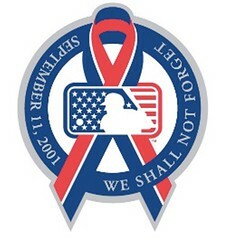 Oct. 27 — World Series begins in the city of the National League Champion. Nov. — Free agent filing period, first 15 days after World Series ends. Dec. 1 — Last day for teams to offer salary arbitration to their former players who became free agents. Dec. 7 — Last day for free agents offered salary arbitration to accept offers. Dec. 6-9 — Winter Meetings, Lake Buena Vista, Fla.
Dec. 12 — Last day for teams to offer 2011 contracts to unsigned players. “Swing batter swing,” the young boy yelled. “I love to say that at a baseball game.” The young boy continued to enjoy the game that we know as America’s Favorite Pastime. Enriched in the mind of a young boy, is his favorite player making a diving catch or taking a full swing for a homerun. It starts at a young age, and continues throughout live. This is baseball and one of the reasons why I love the game. My love for the game began when I was young and had the dream of being a Major League baseball player. I loved the nostalgia of the game and what it stands for. Forever in my mind is the bedroom I created when I lived at my parent’s home — I had pictures, stories, autographed baseballs, bats and hats decorated around. I lived the game, dreamed the game, and treasured the game. “Watching Ferris Bueller?” I asked the little boy, in the scene when they all cut school for the day and attended a Chicago Cub’s game. He began to laugh. Of all places, we were at a Long Island Ducks game (members of the Atlantic Professional Baseball League) in the heartland of Long Island, known as Citibank Park. At a time when the politics of the game went on the backburner and the overriding enthusiasm and support of Long Island to support the Ducks was real, the dream became a reality. It is for the hot dogs, peanuts and beer and the chance to see up and coming stars and some stars there were in the Major Leagues, but attempting to make a comeback — Rickey Henderson, Mark Whiten, Carlos Baerga — to name a few. I also mention in this book a meeting with Jose Rijo of the Reds, he’s one of many good ballplayers that I have had the chance to meet and talk with. They are the game, they make the game. Yesterday there was Willie, Mickey and the Duke. Today there is the Rocket, Junior and Big Mac. Tomorrow there is Bip, John and Steve. It is not music, but a game that makes its own music. From the singing of the anthem…To the crack of the bat. Each with something in mind — to win.